Thaw the frozen pastry sheets to room temperature. 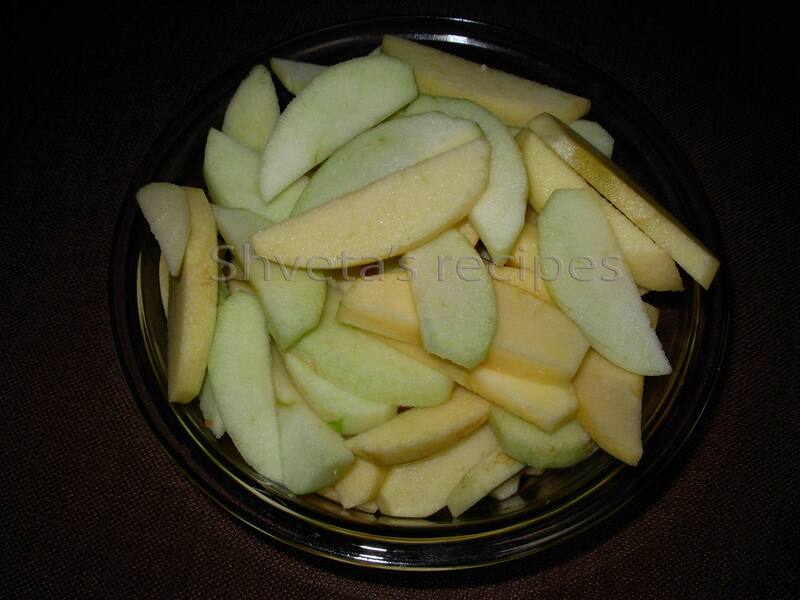 In a large bowl, toss the sliced apples with lemon juice. Combine sugar, flour, crushed almonds, cinnamon, nutmeg, cardamom and salt. 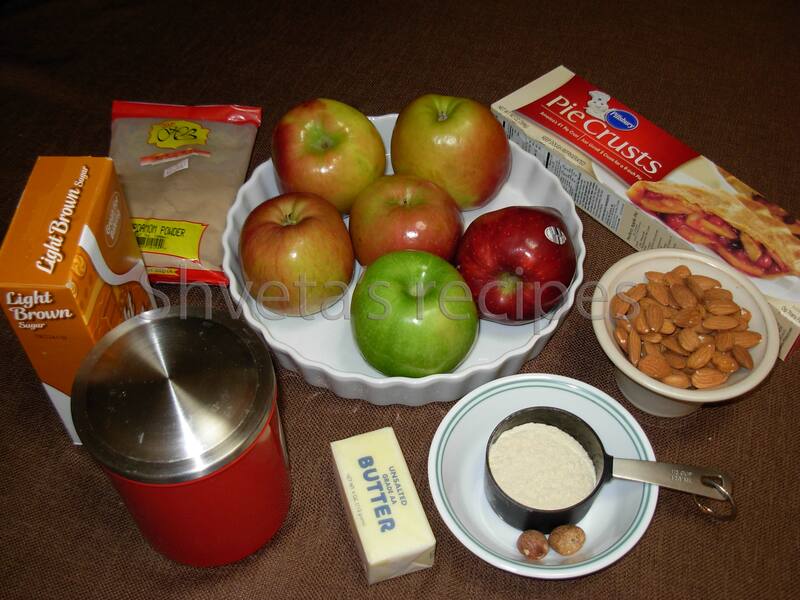 Add apples and toss well to coat evenly. Line the pie pan with one of the thawed pastry sheet. 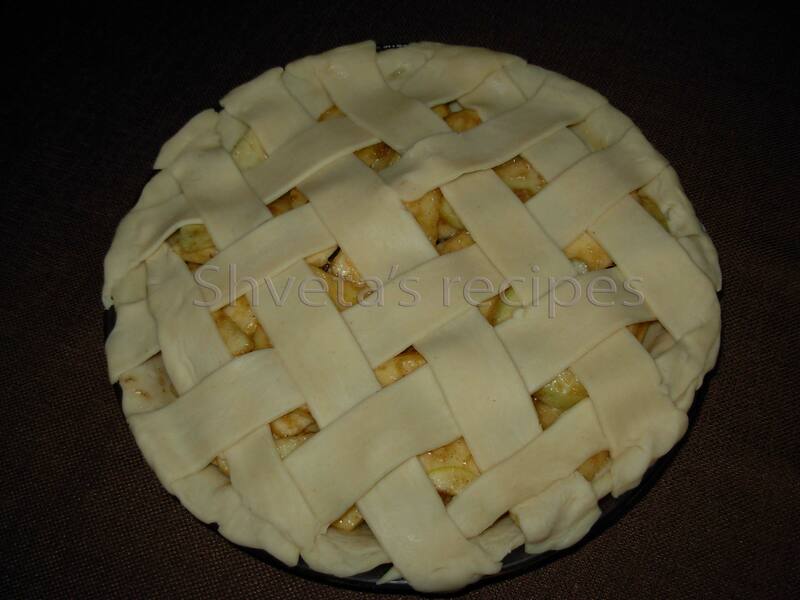 Fill pastry lined pie pan with apple mixture. Add butter on the top. Place second crust on a plain surface and cut into strips. 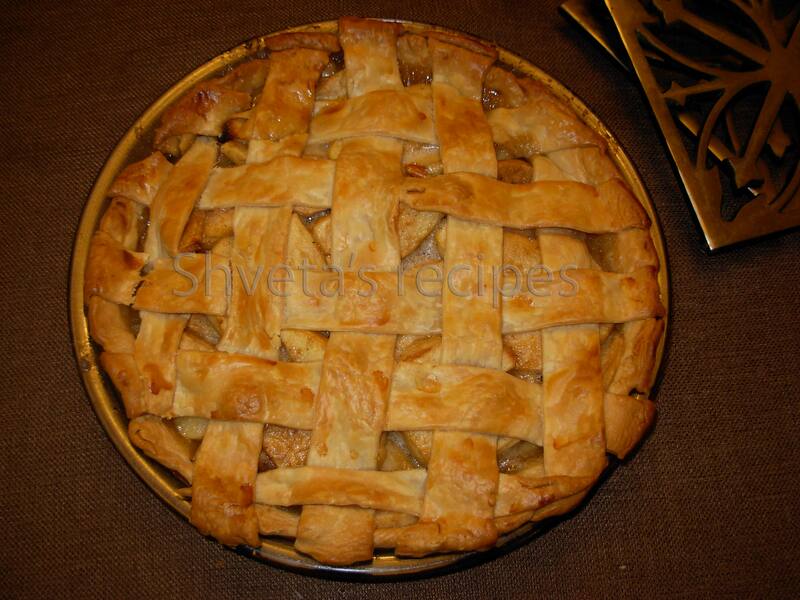 Now arrange the strips on the top of pie filling in criss cross manner., Seal the edges of the crust by hand. Reduce heat to 350 degrees and bake 40-45 minutes more or until crust is golden and filling is bubbly. Serve warm with a dollop of vanilla ice-cream after any meal. Great recipes at your site. Keep up the good work!